On our trip to see Hearst Castle we did Tour #1 (the Experience Tour), which gave us a nice overview of the grounds/houses at Hearst Castle. 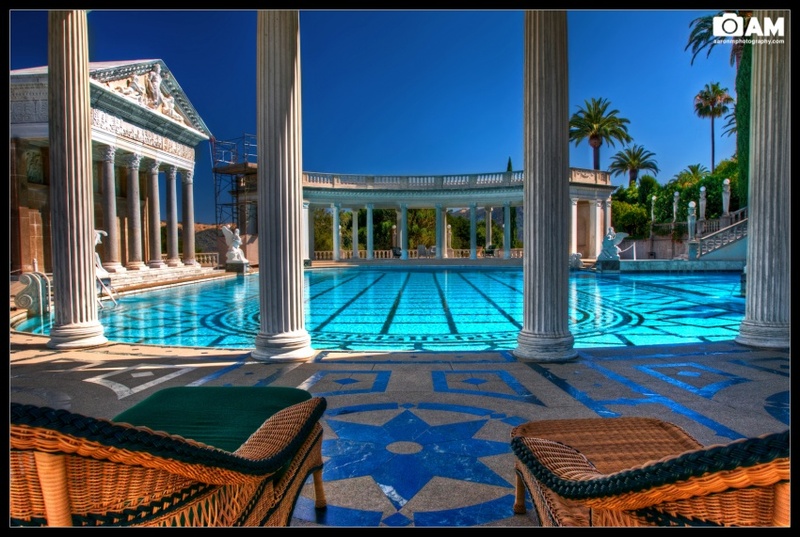 One of the first stops on the tour was the famous Neptune Pool. It actually started out as just the tiny thing in the center, but quickly grew and grew into the awesomeness that it is today! I was able to sneak to the side when the tour guide was talking and take a couple pictures without any people in them! More Hearst Castle photos coming soon! HDR composed of 3 photos (1/125 sec, 1/250 sec, 1/60 sec in Photomatix Pro and edited in Photoshop.